Red has been considered an auspicious color in Indian Culture for a very long time. It is no wonder then that this color is extensively incorporated in Indian Ethnic wear, especially during auspicious occasions like weddings. Red is a popular color of choice for brides, as well as friends and relatives of the bride and is used in vast proportions. For ages, Indian brides have chosen Red to be their color of attire on the most special day of their lives, i.e. their weddings. Red exudes a warm and positive aura and is a strong and powerful color that energizes and excites emotions. 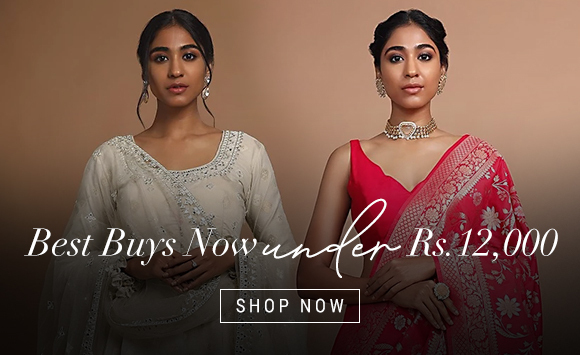 While there are many options of dresses for a bride to choose from, Red Sarees have been very popular since centuries over other forms of bridal wear. The shade Maroon, which is a dark bluish-red, is a very common shade that women like to sport on weddings and other wedding functions like receptions. It is a very graceful and popular hue for mature women and adds elegance to an ordinary red designer saree. On the other hand, Burgundy, which is a dark purplish red is a classy and sophisticated shade and a Burgundy red color designer saree is definitely an attention grabbing color, which is typically befitting royalty. Cool blue based red like Crimson is bright and cheerful and crimson red color sarees collection can add oodles of glamor to a newlywed bride’s trousseau. For the young bridesmaids, a warm yellow based red, Scarlet is a great choice. 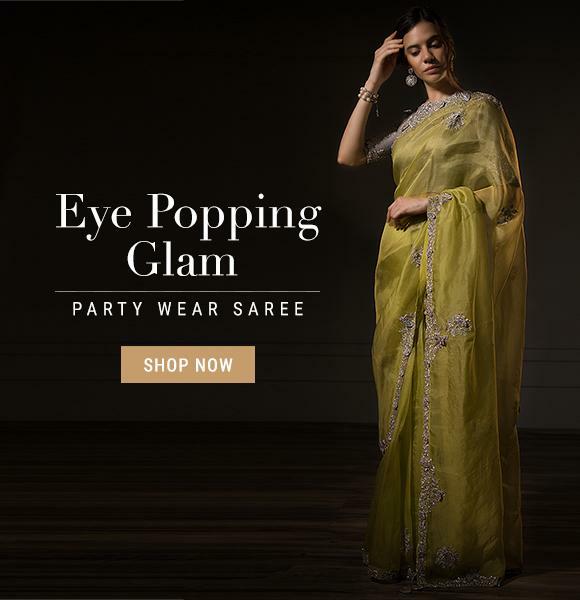 The yellow tones of Scarlet add youthful, fresh vibrancy to an otherwise boring red wedding wear saree. The shade scarlet also looks great as a red half saree. Choose from a colorful array of Red Saree images at KalkiFashion.com and buy Red Sarees online.